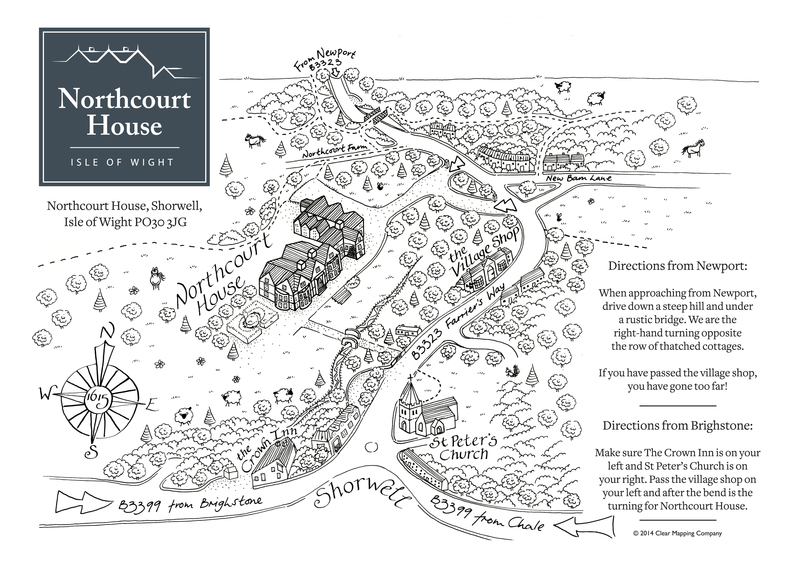 Northcourt is situated on the south-west side of the Isle of Wight, on the edge of the rural, picturesque village of Shorwell. Northcourt is situated on the south-west side of the Isle of Wight, on the edge of the rural, picturesque village of Shorwell, which contains the quintessential local pub the Crown Inn, village shop, and St Peter’s Church all within 3-5 minutes walk. By car, nowhere on the Isle of Wight is more than 35 minutes away. With many of the main attractions including Carisbrooke Castle, Osborne House, Ventnor Botanic Gardens, Mottistone Manor, The Garlic Farm, and the Needles Old Battery all within 25 minutes, and Compton Beach within 15 minutes. As well as beaches, the Island also offers an abundance of attractions for younger children including Blackgang Chine, Robin Hill and Dinosaur Isle, and animal sanctuary’s and zoos, and for the more adventurous, organised hang gliding, surfing, kite surfing, tree climbing, kayaking, sailing and coasteering! The Isle of Wight also offers a range of fabulous dining out opportunities from AA Rosette awarded restaurants, country pubs, family friendly establishments, seafront cafes or chocolate-box tearooms serving up a range of seasonal local produce. A range of ferry options provide frequent connections to the mainland for which we are able to offer discounted rates. Please contact us for details. A useful guide is also listed here.